Some might think that eating healthy means no desserts. If that was true mealtimes would not be as much fun. 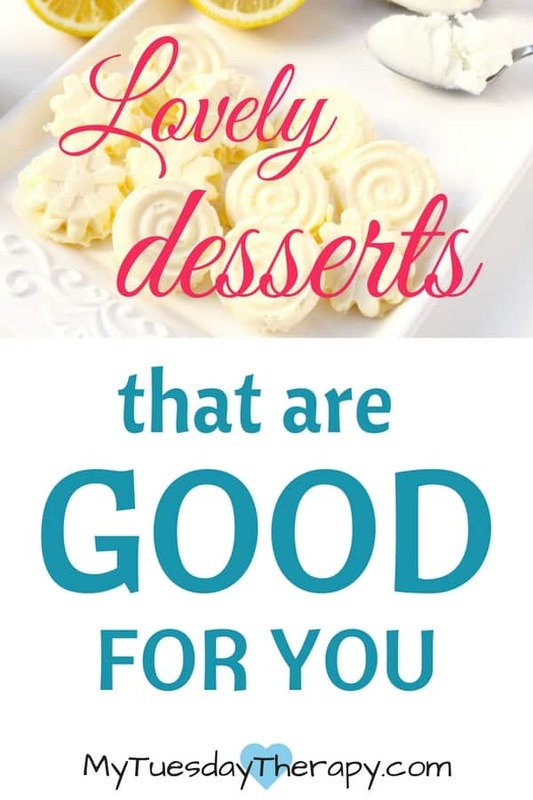 But no need to despair: It is time for yummy, gut-friendly desserts!! Consult your healthcare provider before starting any treatment. NOTE: This post has been UPDATED and some of the IMAGES and DESSERTS are NO longer here. This oh so delicious gluten free Kefir Blueberry Cheesecake is from All That Jas. It contains antioxidant rich blueberries which are also anti-inflammatory and very good to your gut. Enjoy a slice of Cheesecake and feed your gut with healthy probiotics. And to make this dessert you don’t even need homemade kefir. What is junket?? Go to Elliott Homestead and find out! With ingredients like cinnamon, nutmeg and cardamom this is the perfect dessert for fall and winter! Loaded with gut-friendly probiotics this is a dessert you will feel good about serving to your kids. Cinnamon gives a boost to your immune system and fights inflammation. Cardamom is one of the most expensive spices but it won’t break the bank. This spice is antimicrobial and anti-inflammatory. And it is also said to improve circulation and aid in detoxification. You need only four ingredients to make this lovely Pomegranate Mousse from Traditional Cooking School. Pomegranates are rich in fiber and antioxidants. They are also anti-inflammatory and anti-viral. Packed with vitamins this fruit will also give a boost to your immune system. It looks very pretty served in beautiful glasses or put it in little jars for the next lunch break. Your kids will love this three ingredient Coconut and Mango Ice Cream from A Gut Feeling. 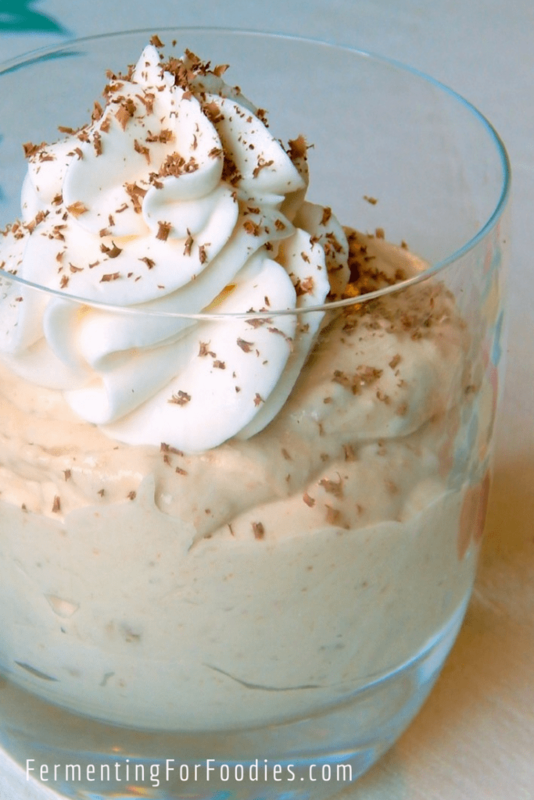 You don’t need an ice cream maker to prepare this delicious treat. Coconuts are good for you in many ways. They can give a boost to the immune system, provide quick energy, and can even fight candida in the digestive tract. Mangoes provide a good amount of vitamin C and A. These lemony treats from Home Health and Happiness will also make a great snack or a delicious addition to a lunch. Coconut oil and cultured cream cheese can provide a ton of health benefits. Lemons are full of vitamins and can give a boost to the immune system. They are antibacterial and are also have been used to treat indigestion. This simple pudding from Fermenting for Foodies made with only four ingredients is fancy enough to be served as a dessert! It would of course be a yummy treat as a snack too. Bananas are loaded with vitamins and minerals such as vitamin B and C, potassium and magnesium. They are also rich in fiber and can help with the digestion. 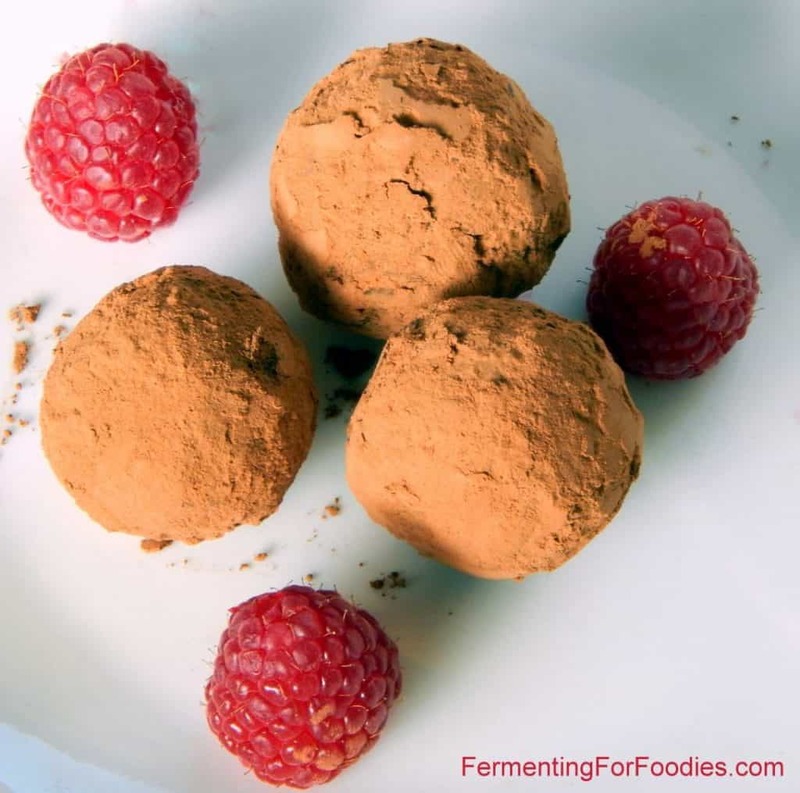 Another delicious healthy dessert or snack from Fermenting for Foodies: Probiotic Chocolate Truffles. Easy to make. You only need three ingredients plus whatever you choose to coat the truffles with. Dark chocolate is rich in antioxidants. It contains manganese, copper and iron. Chocolate is also considered to be a prebiotic meaning it feeds the good bacteria in the gut. Eating healthy does not mean you can never enjoy desserts! These awesome recipe samples from the food blogging world prove it. Have a few friends over and surprise them with these delicious gut friendly desserts. Or make some for yourself to enjoy while reading a book or watching your favorite TV show. Gut health is really important to your energy level and mood. Besides eating yummy desserts you can do these four things to improve your gut health. Check out also these gut friendly sodas and smoothies. Your family will love them too!